This article is a good introduction to the medicine and concepts, it covers mirror visual feedback and why it theoretically can help for phantom, stroke and crps. I have split the papers into the clinical problems mirror therapy can be used for. Clearly the area requires significant further research. My personal view on the therapy is that it certainly doesn’t help everyone (what does?) however it can be very effective in the right patient. 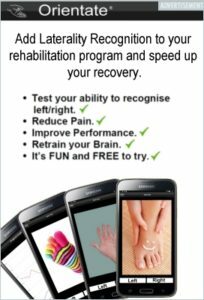 The therapy is very easy to teach and use, it has minimal side effect and the costs are solely down to the box costs and therapist’s time. 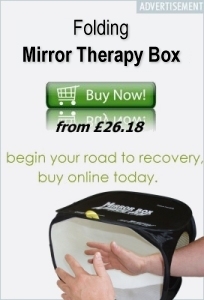 I urge all my patients to do their normal physiotherapy using a mirror box. The have nothing to lose in doing so and certainly much to gain. Sensibly constructed trial by well known investigators published in good journal. They used a graded program of visualization therapy (siding hands first, visualization of movement and then mirror therapy). Positive result published in well-respected journal from sensible investigators. Trial showed positive result in early but not late CRPS, the P.D. Wall in this group is the late and great Patrick Wall of “Gate Theory of Pain Control” fame. This paper describes mixed results in 3 patients in who mirror therapy was tried. This article if somewhat technical explains why imagery may help in stroke rehabilitation. Another article that explains why imagery may help in stroke rehabilitation. Arch Phys Med Rehabil 2003;84:1090-2. Positive result case report of mirror visualization therapy in a stoke patient. An interesting case report of the combination of CBT with mirror therapy describing a positive result. Positive case report of mirror therapy for lower limb phantom limb pain.